Bus and coach wash system manufacturers, suppliers and installers. 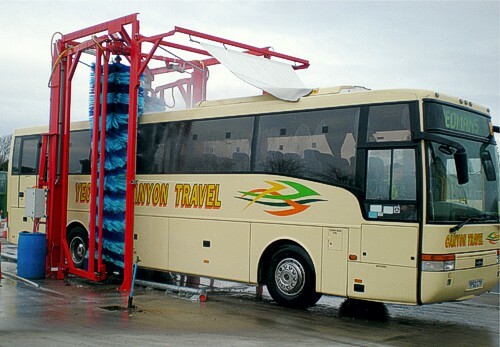 Capable of washing up to 50 buses an hour, the Britannia Supreme is a 2-brush drive through wash machine which will wash all types of passenger-carrying vehicles from minibuses to double deckers in any order of presentation. Like the Streamline, the Supreme shares many of the same benefits including a wash quality which is second to none, low cost operation, robust construction and compact dimensions, ease of installation and maintenance.